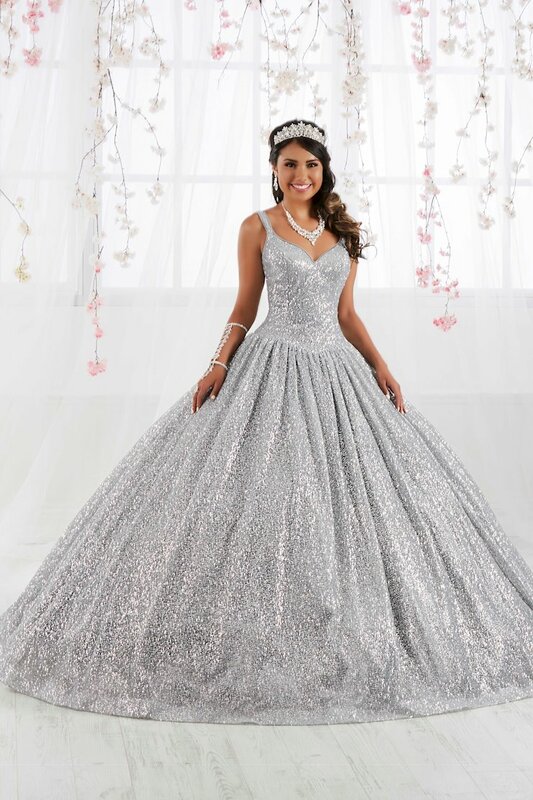 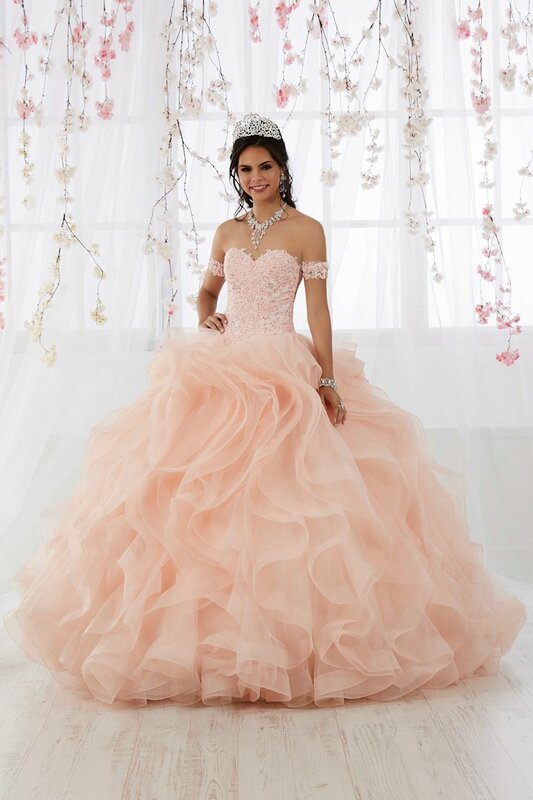 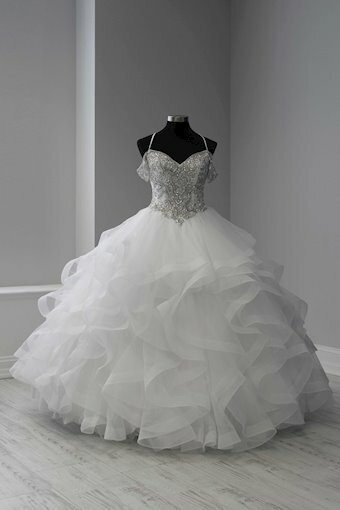 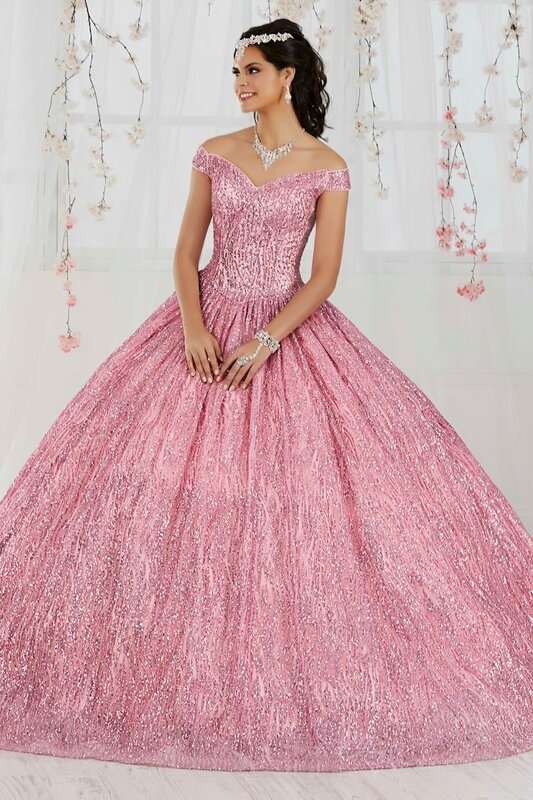 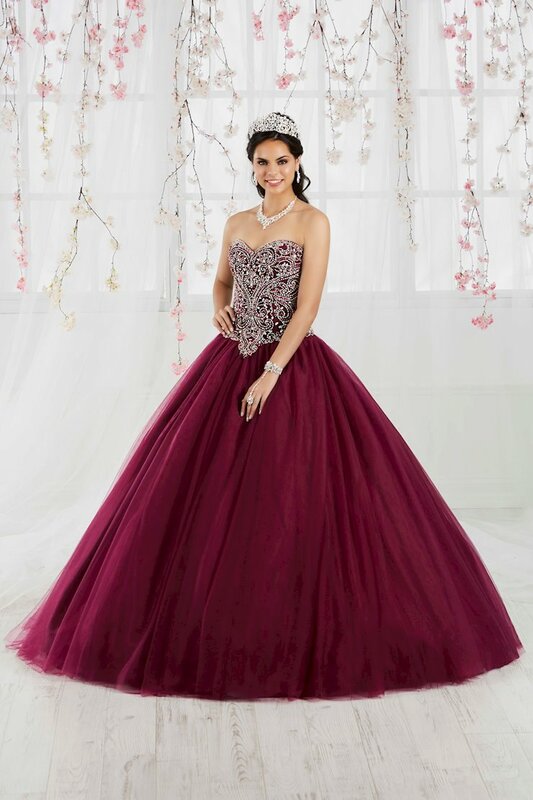 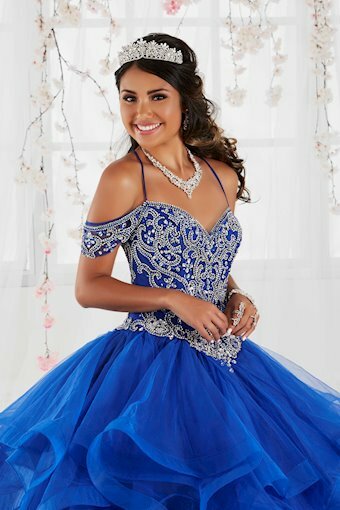 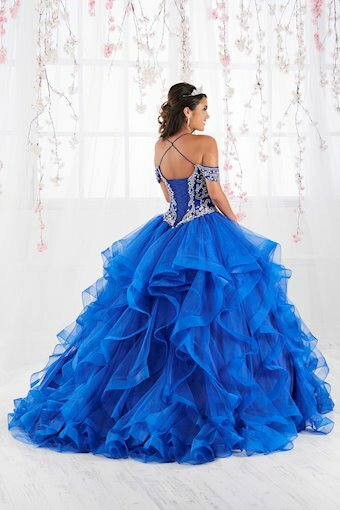 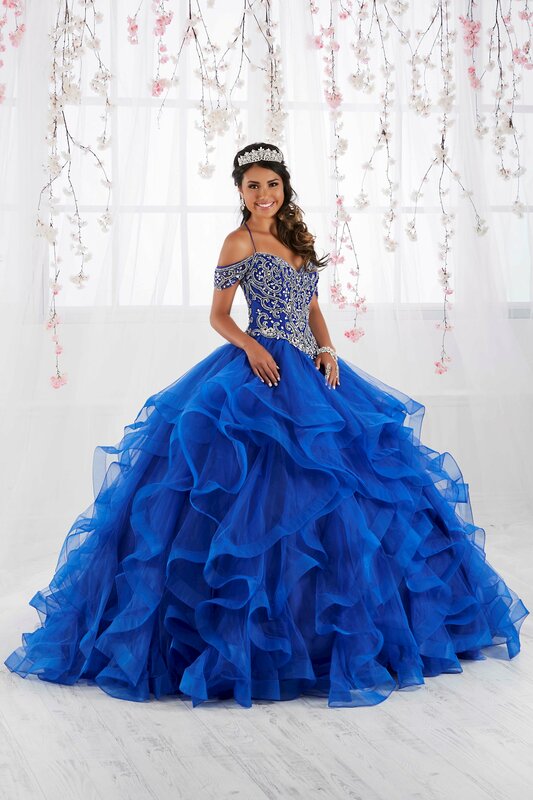 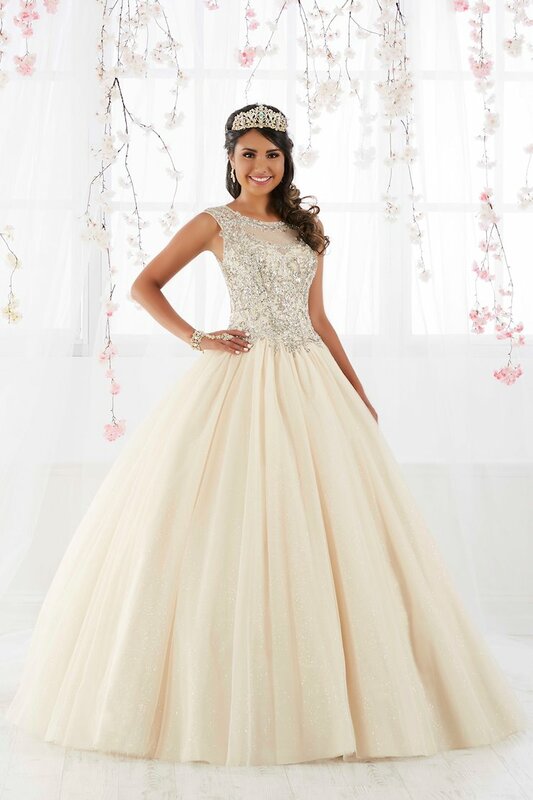 This dreamy princess ball gown features a fully beaded bodice with off the shoulder sleeves and spaghetti straps that criss cross at the back. Horsehair is added to cascades of ruffled tulle for touch of drama. This look is finished with a corset back.